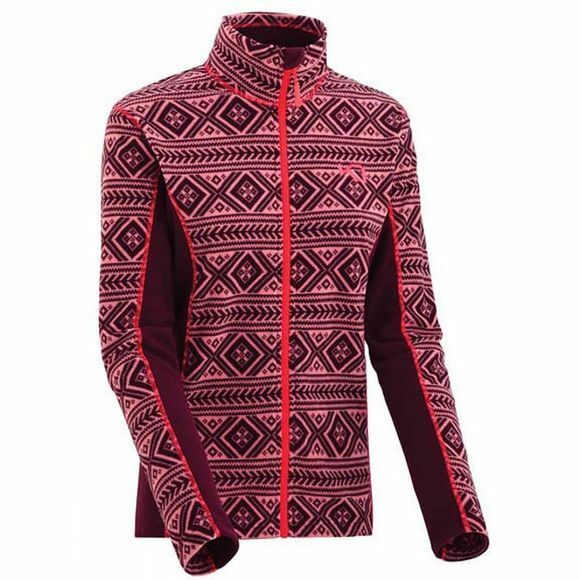 The Womens Flette Fleece from Kari Traa is for use as a second layer, or alone, the Kari Traa Flette Fleece brings comfortable warmth to a wide range of cool weather activities. The high quality Fleece material is brushed on the inside for a soft feel and dries quickly when wet. A regular, sporty fit is highly versatile. The full zip comes in contrast colors and an original print inspires individuality.